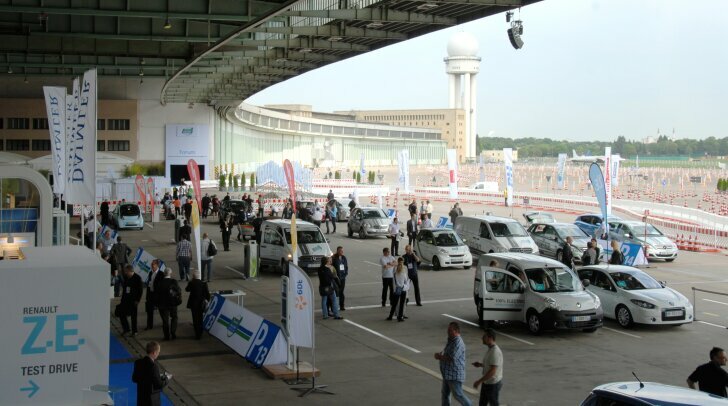 Event | The event takes place at Tempelhof, the former airport of Berlin. Surrounded by huge buildings, it is the small cars that draw the biggest crowds. During this eleventh edition of the "Bibendum Challenge" it isn't only the big carmakers that show their latest gadgets, small manufacturers are also present. Dramatically small is the "Tazzari Zero", an Italian-made fully electric vehicle. Despite its cute looks, this brave Tazzari drives like a true Italian. The car reacts very eagerly to every movement of the throttle and thanks to its minimum size it is easy to manoeuvre. Despite many rattles and other noises in the tiny cabin, this is a fun car to drive and a great start to the day! 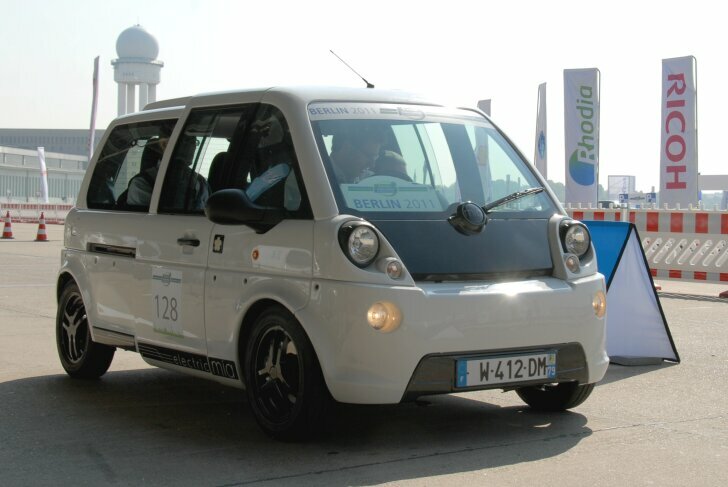 At least as cute is the "Micro Bus" from French carmaker "Mia Electric". Its designers made good use of the fact that electric motors hardly take up any space and batteries can be placed anywhere. Therefore, the driver sits in the middle. The back seat offers space for two people, who can rest their legs alongside the central driver's seat. Thanks to this smart setup, this miniature van offers remarkable cabin space. On top of that: a car with the steering wheel in the middle is very nice to drive and remarkably easy to park. Yet, the Micro Bus driven here is without a doubt a prototype. The suspension is, to say the least, not very refined. This pre-production vehicle still rattles and shakes. On 1st June production will start and already Mia have sold 2,500 examples (in France and Germany). This is thanks to its low price and useable range (130 km or 3 hours). Also by Mia is a Suzuki Splash which has been converted into an electric car. What makes this vehicle special is the fact that the electric motors are placed inside the wheels. This reduces losses and thereby increases its range. However, extra weight in the wheels affects handling badly. This is why an active damper has also been integrated in the wheels. A test drive shows that the "Active Wheel", which has been developed together with Michelin, works very well. The test car handled even better than the original Suzuki Splash! 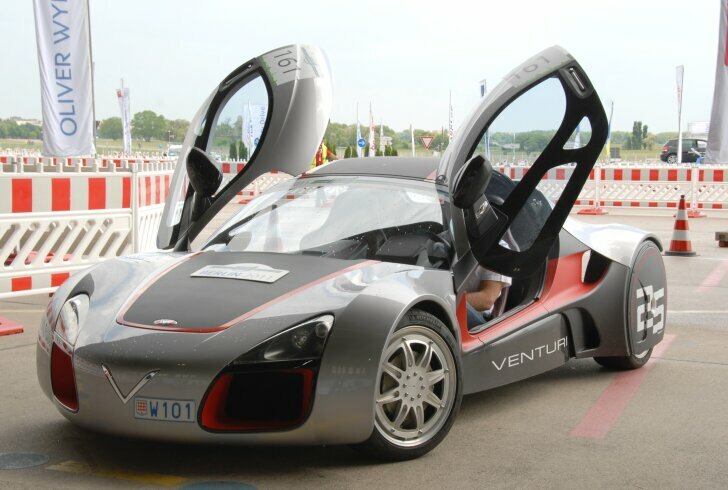 The most beautiful and most exciting car of "Bibendum 2011" already uses the "Active Wheel" and answers to the name "Venturi Volage". Its performance is sensational and its stunning looks add to the excitement. Regrettably this project is still in a very early state. This product from the ever-sunny Monaco isn't waterproof and the rain cut the test drive short (almost quite literally). 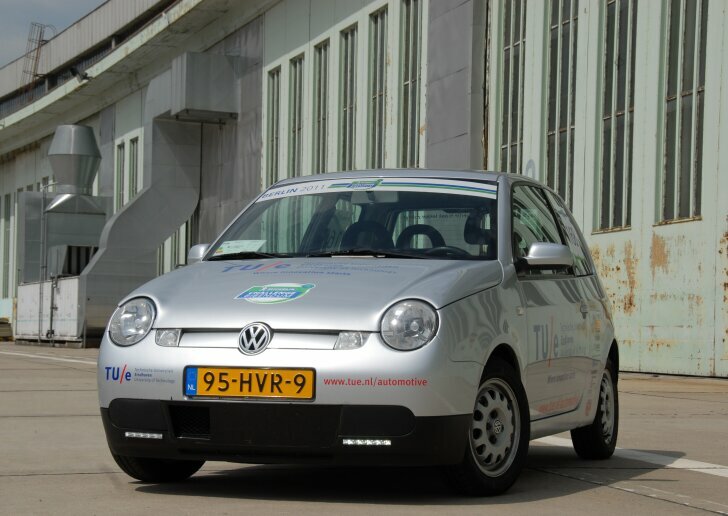 A team from the Dutch university of Eindhoven is present in Berlin with their home-built "Lupo EL". This super frugal Volkswagen was bought as a second-hand car by students and made even more economical. Its lightweight build and streamlined body were an ideal starting point. Because the car is used for research, the dashboard has loose wires everywhere. Of all hand-made cars in Berlin, the Lupo was the best to drive. The car has very little rolling resistance and the mechanics are hardly audible. 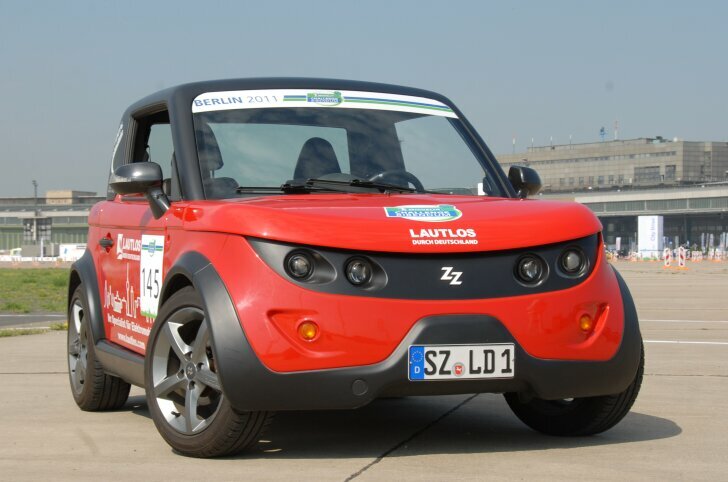 To appreciate all hand-made projects, a test drive was made with a well-known electric car: the Smart Electric Drive. From the very first yard it is obvious: the Smart feels like a more mature and more solid car. Compared to the Smart car, the others are clearly works in progress. In city traffic the Smart performs very well. At speeds above 80 km/h the Smart isn't as spritely anymore. 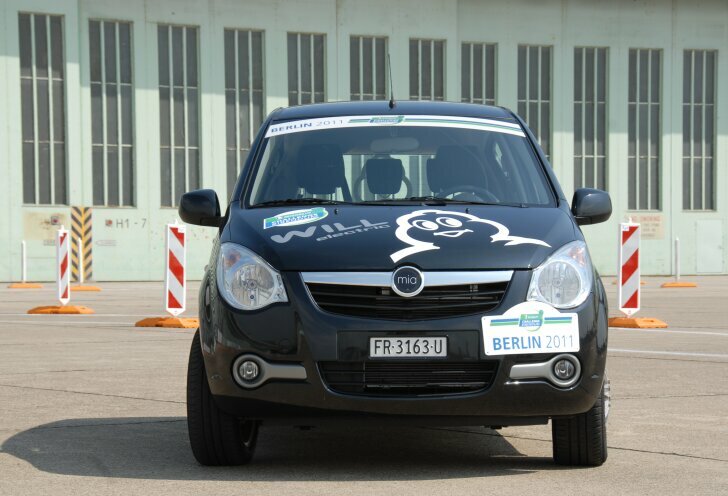 Only on the runway of the airfield did the Smart Electric Drive manage to top 110 km/h (after a very long run). As an alternative for full electric cars, hybrid vehicles are available. These cars have both an electric motor and an internal combustion engine, extending the range substantially. 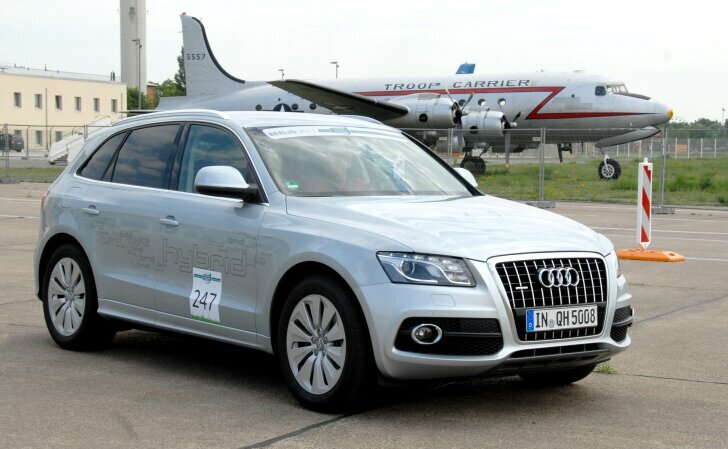 The "Audi Q5 Hybrid" will be introduced soon. The Q5 Hybrid uses conventional hybrid technology, but gives it a sportier look and feel. Despite the extra weight of the batteries and the second power train, the Q5 Hybrid handles as well as a regular Q5. Thanks to the combination of a 2.0 litre turbo engine and an electric motor, performance is excellent. Ford experiments with a hybrid car that combines an electric motor and a bio-ethanol engine. The "Escape Plug-In Hybrid" is a true American car: impossibly large with extremely soft suspension and no feeling in the steering whatsoever. However, this demo is about the technology under the "hood" and that works very well. A spokesman for Ford proudly announced that this same technology will be available soon in every day models like the new C-Max. The well-known Toyota Prius is now available as a "plug-in hybrid". This means that the car can be plugged into any household socket and can then drive 60 km on its electric motor (compared to 3 km for the traditional Prius, which is charged during braking and idling). To make good use of the 60 electrical kilometres, the Prius Plug-in allows for a higher top speed on the electric motor (about 70 km/h). This is why the "Prius Plug-in Hybrid" is noticeably different to drive. The "plug-in" weighs only 80 kg more than the normal Prius, so handling remains the same. 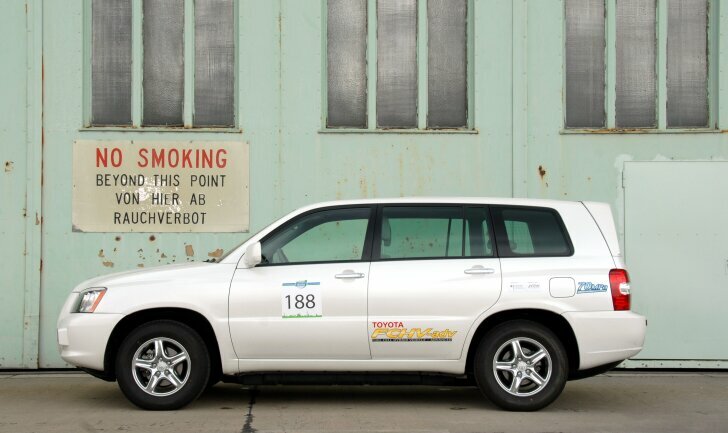 Toyota also brought an experimental hydrogen car to Tempelhof. The "FCHV" is based on a Toyota Highlander and that's a bit deceiving. The "FCHV" looks big, bulky and not at all exciting. Yet, underneath it boasts very exciting technology. A hydrogen powered car offers the range of a petrol car, but is as clean as an electric car. Hydrogen is converted into electricity, the only by-product is pure water. Hydrogen is a by-product of many industrial processes and can also be produced in an environmentally sound way. The current generation of the FCHV solves many problems from the past. For example, the car can now be used in sub-zero temperatures and its range is about 800 km (on a 156 litre tank). This brings mass production of hydrogen cars one step closer to reality. "Michelin Challenge Bibendum 2011" is an annual event for environmentally-friendly vehicles. These vehicles range from bicycles to lorries. "Bibendum 2011" is more than a show and some eco rallies. On the huge Tempelhof grounds visitors can drive many cars on test tracks. Shortly after opening the doors to the public, a wide range of electric cars took to the track. But at midday the event came to a standstill. Most electric cars had to be recharged. From that moment on, only the hybrid cars and hydrogen cars were to be found on the test tracks. That is how the future is most likely to look as well: due to their limited range, most electric cars can only be used on short distances. This is why hybrid cars are the best sustainable solution for now. In the future, hydrogen should be the ultimate solution.